We recently headed out on a family vacation. We’re extremely lucky that my in-laws paid for a trip to a Colorado dude ranch so we could all celebrate my father in law’s 70th birthday. Unfortunately, for several reasons, I walked into the trip with a bad taste. I was thrilled to be with family, don’t get me wrong. I just didn’t expect great things from the resort. They never responded to a single inquiry I had on Twitter or Facebook. Their Twitter bio was riddled with typos. They just didn’t seem on top of things. Once there, it was clear to see they had a great focus on customer satisfaction. Yet, though I tweeted them, posted on their Facebook page and tagged them in my Instagram photos, there was no response. I felt a bit like they wereÂ telling me to go away. It was the complete opposite experience I had with a different hotel that usedÂ hashtag tracking on social mediaÂ to go out of their way to make us feel like valued customers. Once we’d gotten there, I probably would have been so wowed by their customer service that it wouldn’t have bothered me that they ignored me on social media. Yet, every time I logged into their WiFi, I was met with a message encouraging me to post on their Facebook page or send a tweet. There were special apps they’d installed to let me do this easily. Yet, even with this push to talk about them, they still ignored me. This ranch likely wonders whyÂ social media isn’t workingÂ for them. 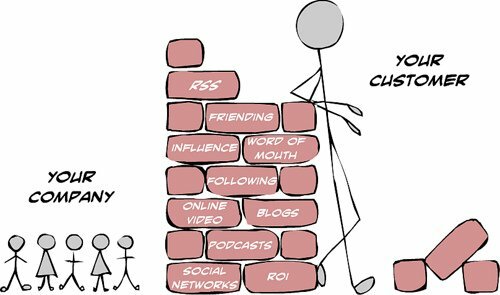 In a medium where being social is stressed right in its name, it’s surprising that they’re not being social when they encourage customers to do so. So, while I would never bad mouth them as they delivered great service in person, I won’t be talking them up on social media. What would be the point? They clearly don’t seem to care about that medium. How many of your customers are getting this same message from your social media presence? And, as a result, how many new customers are you missing out on? 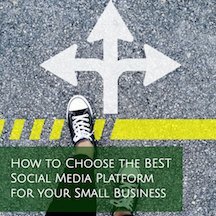 How do I Get Customers to Follow Us on Social Media? Why Would Anyone Use Social Media?